Stellar, light filled home in popular Tuscany/St. 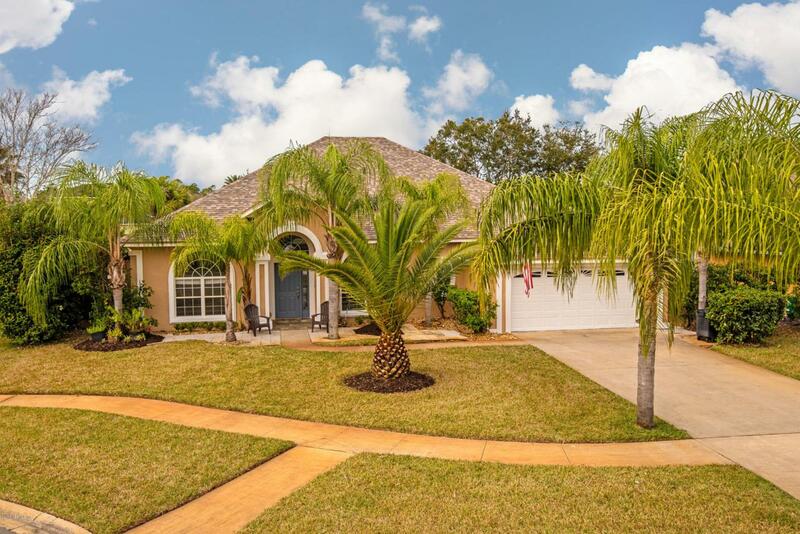 Augustine Shores is what Florida living is all about! 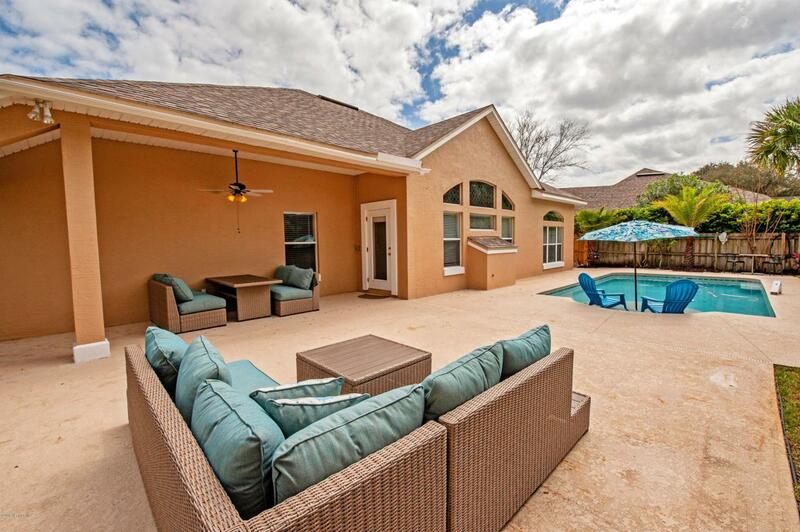 Friends and family will be drawn to the fully fenced back yard with covered lanai, extended patio and SWIMMING POOL! Cooling off on a hot summer day is as easy as stepping out your door. This serene back yard is the perfect spot for morning coffee or to serve dinner under the stars. The kitchen is a chef's dream, featuring gorgeous granite countertops, stainless steel appliance package, ining nook and breakfast bar - cooking will be a joy! The living space is open to the kitchen and features a charming fireplace to gather around on cooler winter nights. 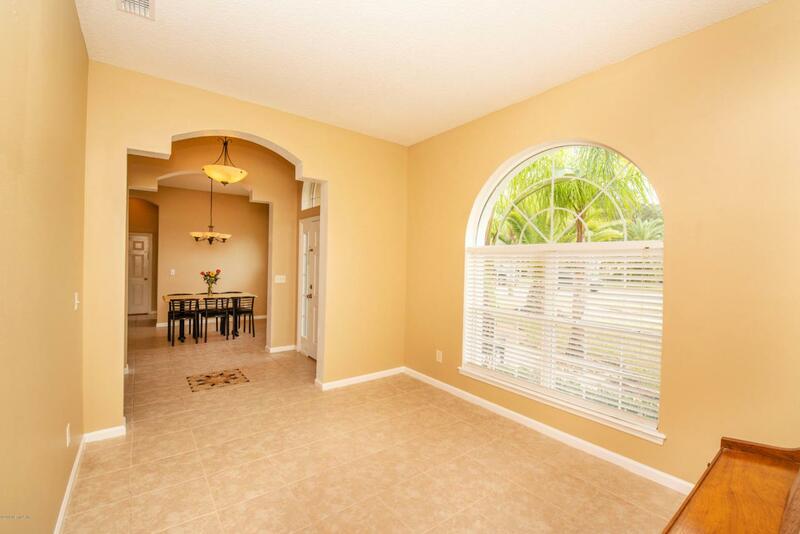 The formal dining and formal living areas are tucked away at the front of the home perfect for entertaining.Need time away from everyone? Escape to the Owners Retreat overlooking the back yard oasis. Soak your cares away in the spa inspired ensuite with tub and large shower. Home enjoys brand new front load washer and dryer with pedestals. 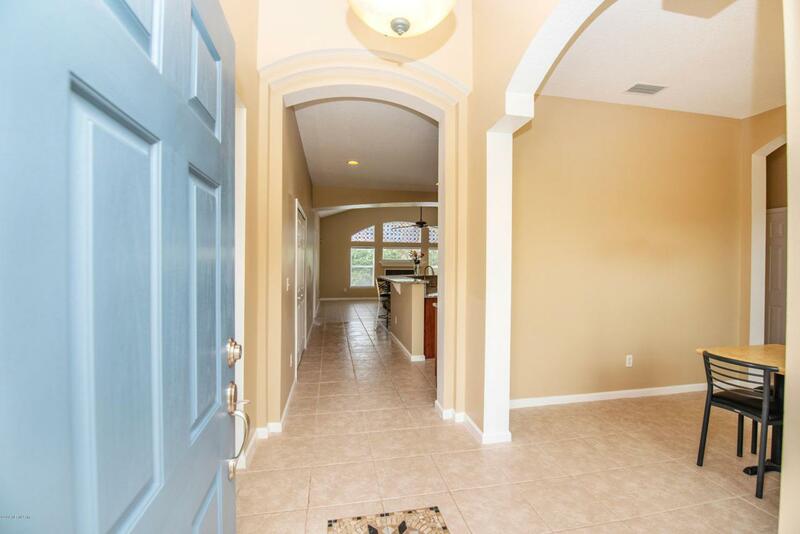 The home is nestled at the back of the community on a quiet cul de sac. Residents of St. Augustine Shores have access to great amenities such as pool, fishing pier, tennis courts and county park - all within the neighborhood.